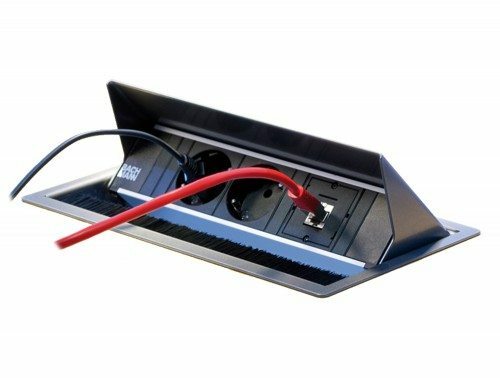 In busy offices, it’s imperative to have quick, easy access to a power supply, without having to reach on the floor for sockets. 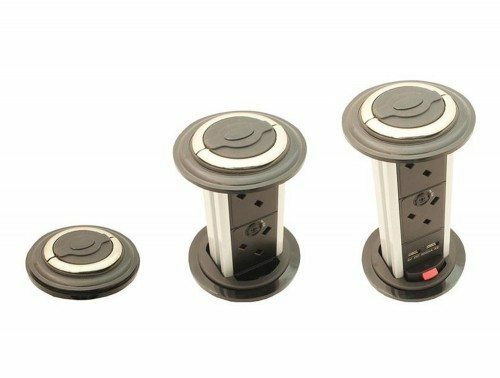 Our range of sophisticated desk power solutions can be incorporated into virtually any type of office desk – offering a more convenient and organised way to access power or data connection whilst you work. We stock a wide range of power modules to suit your individual business requirements. 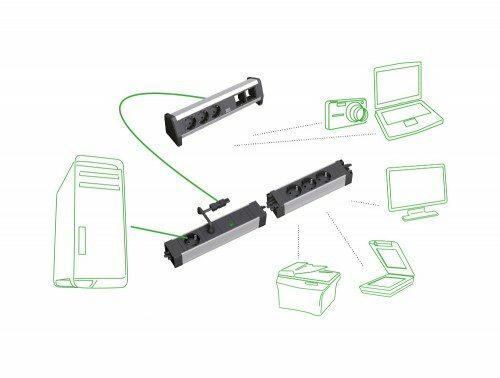 Power Modules are a great addition to any office as they help to utilise the space that you have and improve your cable management. Cable management is extremely important as it not only helps to prevent damaged cables, but also to keep your office tidy and adhering to health and safety standards. Power Supply Modules help to reduce the number of cables you have lying around, such as extension leads. Gone are the days where everyone fought over the same power supply socket or having to remove plugs in order to make space. A well-managed office consists of clever power solutions and our Power Modules are no exception. 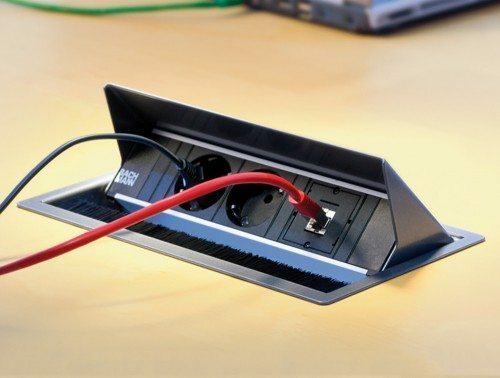 Power solutions for your desk offer a range of advantages for your business. They are particularly useful if your workplace uses a hot-desking system. Power modules can have a range of configurations including USB ports and different sockets. This can help staff with various devices and plugs from different regions set up and work quickly and easily. We have a wide range of power and data solutions in stock, which means that you can expect to receive your order very quickly. All items are delivered across the country, direct to your business or home premises. In the 21st century, access to power and data in the workplace is a real priority. 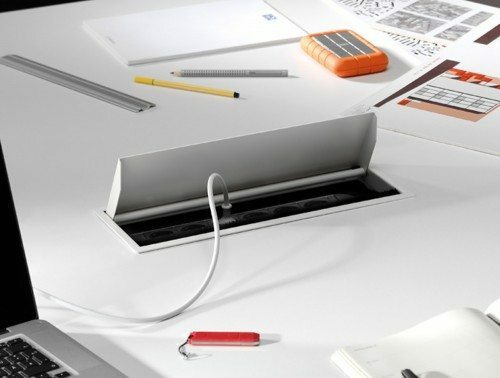 In order to work effectively and productively, your employees need to have quick, straightforward access to sockets and data connections, without having to reach under desks to locate them! Likewise, cables trailing across the floor can prove hazardous. Our range of innovative products makes accessing power and data a far easier process, whether it’s in a meeting or board room, or if there’s a hot-desking system in place. When added to the office desk, all your employees need to do is simply plug in their computer or data cable to enjoy instant access. There are a range of desk solutions available to suit the individual needs of your business. Available in a wide range of configurations, you can tailor make your Power Converter to suit your individual needs. Choose from VGA, HDMI, Data, USB Charge and more. 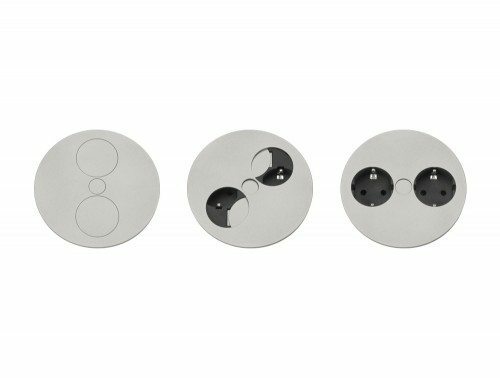 Whatever the configuration you’re after, we have a variety of module designs that can either be placed on your desk or in your desk. If it’s an in-desk module you require, our installers can assist with the cutting and placement, meaning you don’t have to worry about cutting your table yourself. We offer standalone power and data solutions which can be clipped to the edge of the desk, which means that no modification to your office is required. If you’d rather a smoother, more seamless effect, we also supply integrated power and data solutions, which can be easily positioned within the surface of the desk. 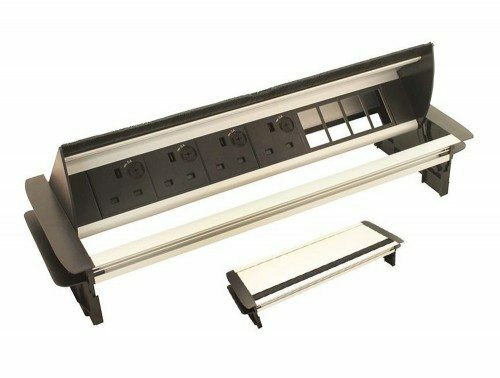 Our power covers ensure that power and data points can be simply covered up when not in use, adding to the professional appearance of your office desk. 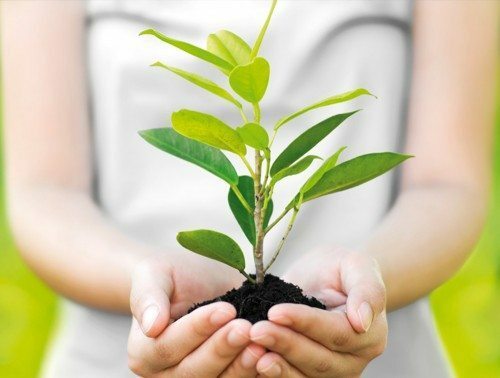 We know that all businesses are different and therefore have different needs. With our configurable power supply solutions, you can tailor-make your power modules to suit your business. You can also choose different module configurations for each meeting room or office space in order to make create more convenient power supply solutions for your clients, guests and employees. This will also help if there is a hot-desking system in place in your workplace. 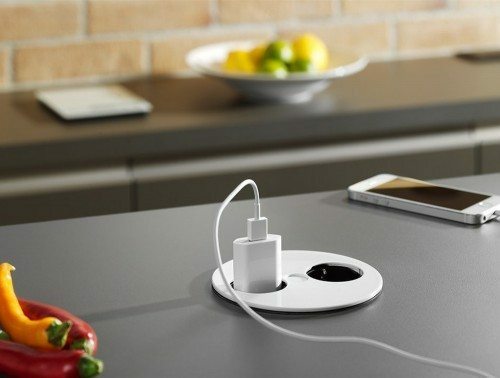 Including configurations such as USB ports and different regional sockets will make it easy for employees to use various devices with different power cables and plugs throughout your workplace. With our range of in-desk, on-desk and under-desk power supply modules, it’s never been easier to safely and efficiently manage your business. We stock well-known brands, such as Bachmann, and also more budget-friendly options. Whatever it is you need, get in touch with our sales team today to discuss your requirements. If we don’t have exactly what you’re looking for, we would be more than happy to help you source it. If you’d like to find out more about our range of Power Modules or discuss your requirements, simply request a callback.